If you are on Social Security disability and considering filing for bankruptcy, it can be difficult to choose between Chapter 7 and Chapter 13. 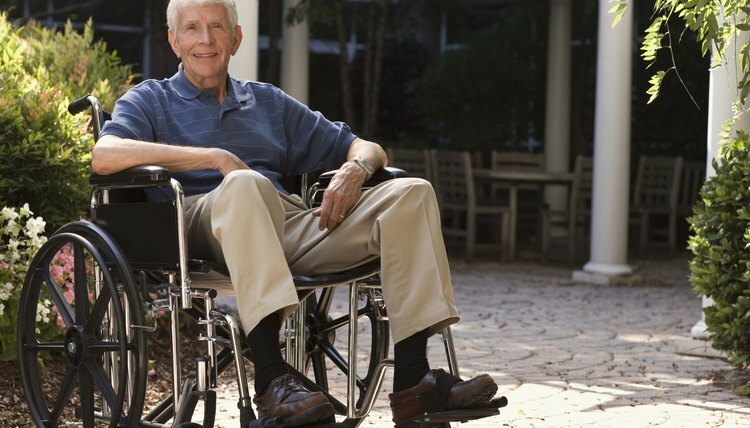 Either type of bankruptcy can protect disability benefits through exemptions. However, state law governs bankruptcy and the specific rules can vary from state to state. In the end, the choice between Chapter 7 and Chapter 13 is based on an individual's personal circumstances. Chapter 7 bankruptcy involves liquidating all nonexempt assets in order to repay debts. Repayment typically takes three to six months. In contrast, Chapter 13 bankruptcy involves a three- to five-year repayment plan that allows the debtor to keep his property. To qualify for Chapter 7 bankruptcy, a person must pass a means test, which can vary from state to state. In general, the means test involves recording all income earned six months prior to the month bankruptcy was filed. If the total amount is under the median income for a household of the same size in the state, he qualifies for Chapter 7. If a debtor's income is solely from Social Security benefits, he will most likely qualify for Chapter 7 bankruptcy. If he receives certain types of disability in addition to a salary, the disability payments are unlikely to be included as part of his income for the means test. A Chapter 7 bankruptcy is a liquidation of assets. If the person filing bankruptcy owns property or other assets, he may have to surrender these items in order to help discharge his debt. However, every state allows for certain exemptions that protect a person's assets from being liquidated in bankruptcy. In many states, Social Security payments -- including disability benefits -- qualify for an exemption. However, exemptions vary from state to state. Chapter 13 bankruptcy is a court-approved repayment plan covering a three- to five-year period that allows a person to retain property. The repayment plan is based on what the bankruptcy filer owes and his income. Disability income is factored into the repayment plan, but only after accounting for monthly expenses. If someone who filed bankruptcy is only receiving disability, these payments may not be enough to pay off his debt. Thus, in those cases, Chapter 7 might be preferable. Because each person's situation is unique, it is important to seek the advice of an attorney when deciding between Chapter 7 and Chapter 13 bankruptcy. Allmand Law: Does Bankruptcy Protect Social Security Disability Income? Duncan Law, PLLC: Are Social Security Disability Benefits Protected in Bankruptcy? A&L, Licker Law Firm, LLC: What is a Means Test?